This free bonus offer is not valid from 07/31/2017. Now you may simply open at z.com trade trading account and use it with your own money. 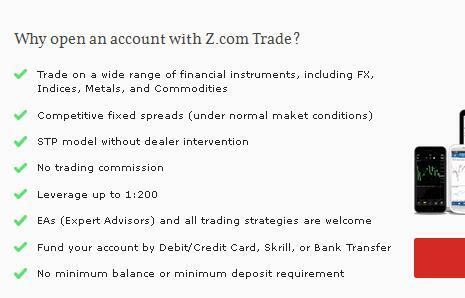 You may know here how to register live account at Z.com Trade platform and to receive welcome bonus without making a deposit. Forex broker provides the possibility of getting bonus money for all new customers of the company. But, for many traders, this broker looks like a newbie at the market, although it is not. This company was the Asian giant of the forex market during many years and now z.com started its expansion worldwide (especially european countries). Broker is the part of the Japanese GMO CLICK Holdings (GMO CLICK). GMO Click offers wide range including even a domain registration and hosting services. The holding’s shares are traded on the Tokyo Stock Exchange (JASDAQ) under the number: 7177. Z.com offers opportunities for trading on forex, indices and commodities (including gold and silver). At present time, GMO represents its services in 50 countries of the world. Broker is regulated by the Financial Regulator of the United Kingdom (FCA) and the Hong Kong Securities and Futures Commission (SFC). So, as you understand, opening live account and trading at Z.com trade are high reliable and safe without any questions. Concerning the welcome no deposit offer, it is important to note that z.com trade bonus and earned profit may be withdrawn from the account. One important notice else: registration and opening live account here is quite difficult because of this Japanese broker is very responsible about checking/verifying client’s data. So, you will need to waste some time for filling the application form. But do not worry, I wrote below some instructions for you to make this process more easy. As you may see, there are nothing difficult. 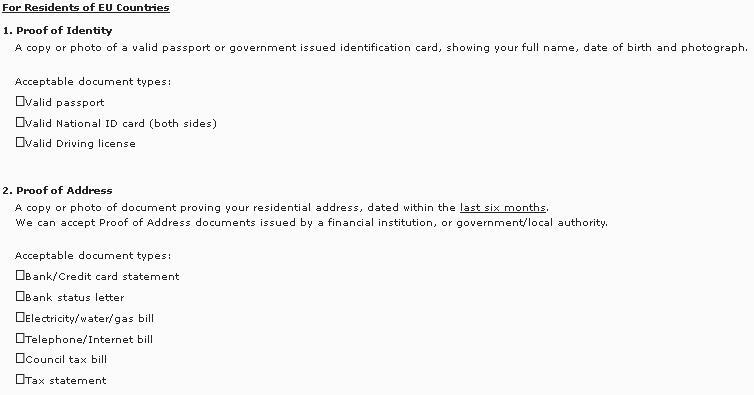 Input your name, first name, your country of residence, phone number, email, trading account currency, etc. On the next page you will need to specify your home address, which must be the same as the registration address in your documents. 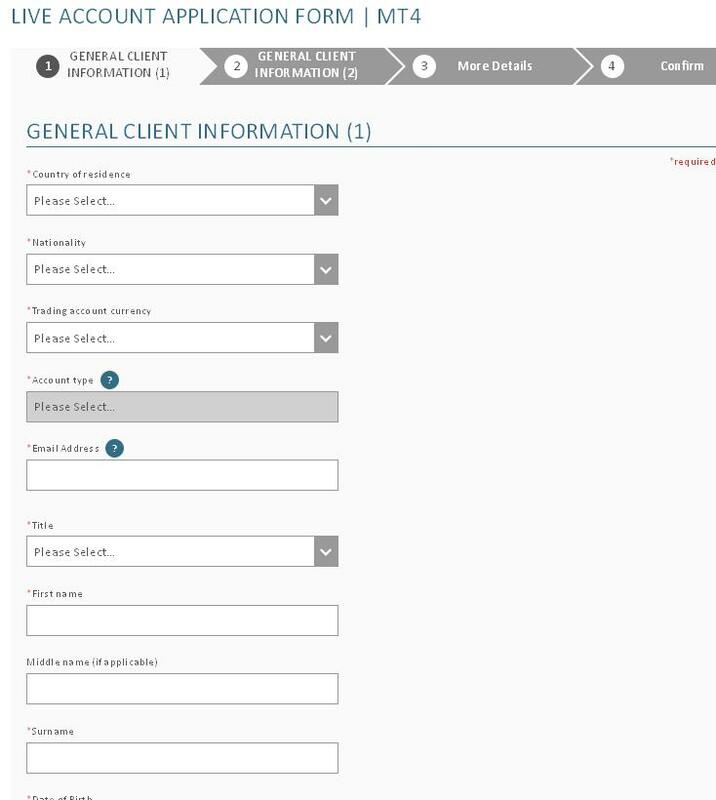 On the third page of application form you will need to provide different financial information (important for financial providers): where do you work, what financial sources, sum of your deposit, your trading experience, etc. On the last page of the apllication form you should confirm that you are already 18 years old, you have provided correct datas and you have read all client agreements. 4) After finishing previous stage you need to wait for confirming letter which will be sent to your email. In this letter you will receive borker’s request for the list of documents which you will need to send via email to the address specified in this letter. 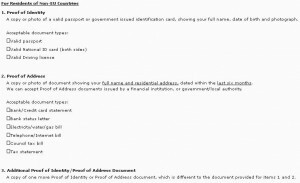 These documents will be used to verify your registration information. Be attentive, all copies (scans or photos) of documents must be colored, in good quality. 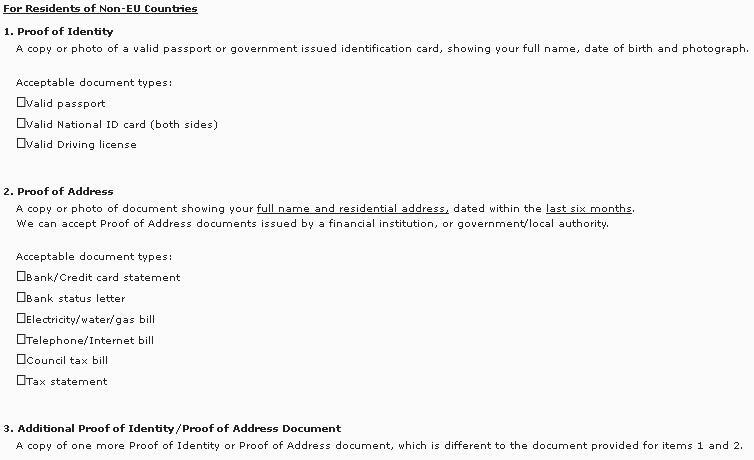 Here you can see the standard requirements for the list of documents for verification. 5) After sending your ID copies you should wait for confirmation of the successful completion of verification process. You will receive letter from forex broker Z.com trade to your email. It may take about 2 working days. 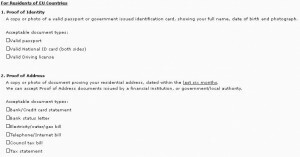 In this letter, broker will also send you further instructions and information about your live account. 7) You may start your trading. Important information about z.com trade trading platforms, which you may use. You may trade via MT4 (Metatrader). Besides Metatrader 4, z.com trade supports FIX API, hosted in Equinix’s LD4 data centre in London. 8) Some words about how to withdraw bonus and trading profit from live account the Z.com Trade. I should mention that the main requirement for cashing out the bonus is to trade at least 100 standard lots. You do not limit in time for executing this condition. You do not need to deposit the live account, just trade the necessary trade volume. Broker does not set any requirements for cashing out the trading profit. But if you request the withdrawal of profit before finishing 100 lots then broker will transfer you your profit but the bonus will be cancelled. By the way, they do not set any limit on the maximum amount of profit which can be withdrawn. To withdraw from Z.com Trade or to fund money to your account you may use next ways: Mastercard, Visa, Moneta, Neteller, Skrill, Paypal, Webmoney. It’s not valid from 07/31/2017. Please be aware that this bonus ended on July 31st 2017 and is no longer valid. Write a comment to "$30 welcome no deposit bonus from Z.com Trade"